A tender scene from "Manos: The Hands of Fate." But strangely, this season seems short on remakes. I know Hollywood hasn’t given up recycling, but maybe the studios are running out material. Fortunately, I’m here to help. My advice: Instead of remaking good movies, try remaking bad ones. “Night of the Lepus”: Ranchers in the Southwest face a threat worse than cattle rustlers when mutant rabbits the size of Volkswagens attack their isolated desert town. How can anyone not love a movie about giant, killer bunny rabbits? Released in 1972, “Night of the Lepus” was shot on the cheap. The “giant” bunnies were real rabbits, filmed on model sets, and men in rabbit suits. But now, through the wonders of technology, we can do all of the special effects by computer. Hollywood can now produce the vicious, bloodthirsty bunnies people crave. The original co-starred the late DeForrest Kelley, the acerbic Dr. McCoy from “Star Trek,” so the remake should feature Robert Picardo, the acerbic Emergency Medical Hologram from “Star Trek: Voyager.” He needs the work. Again, this is a perfect opportunity for modern special effects wizardry. Instead of the original film’s Martians, who were just guys wearing green leotards and crash helmets with retractable antennae, the remake could have computer-generated Martians with bulbous heads and slimy tentacles. Instead of kidnapping Santa in order to get toys for their children, the Martians would be after Santa’s toymaking super-technology, with the intention of converting it to the manufacture of weapons for an invasion of Earth. Of course, the Martians won’t count on one thing: In my remake, Arnold Schwarzenegger, who isn’t going to be California’s governator forever, plays Santa. What better vehicle for him to get back into movies than a family-friendly action flick with lots of explosions and dead extraterrestrials? 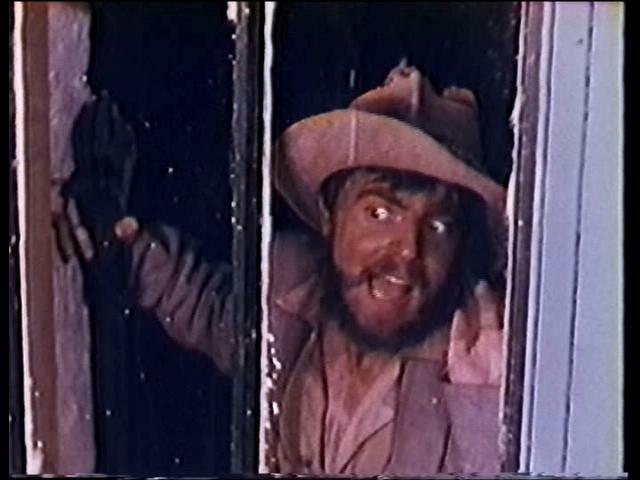 “Manos: The Hands of Fate”: Probably the worst film ever made, “Manos” is beloved only by fans of “Mystery Science Theater 3000” and masochists. No surprise, it was written and directed by a fertilizer salesman from El Paso, Texas. The original involves a family stranded at a remote house with an evil cult leader called The Master; his bowlegged minion, Torgo; and his harem of lingerie-clad wives. The wives mostly just argue with each other and have a pillow fight that doesn’t involve pillows. The only difference is, my version will be a ballet and will have a minimalist classical score by Philip Glass and the Kronos Quartet. That will turn the “pillow fight” scene into pure cinematic gold, and my “Manos” will be the hit of arthouse theaters nationwide. Actually, no. All of these remakes would be terrible. But at least no one could accuse Hollywood of trampling on the memory of good films. The hit series “Heroes” concluded its first season this week. And with a second season and a spin-off miniseries already on NBC’s fall schedule, it’s clear superheroes have gone mainstream. Certainly, at least, superheroes are no longer confined to comic books, which is good news for them. OK, the reviews for “Spider-Man 3” aren’t great. Currently, the positive reviews add up to a barely “fresh” 61 percent at RottenTomatoes.com. But the movie’s record-breaking opening-weekend gross of $151 million shows the demand is there, at least until word of mouth gets out. With any luck, the second “Fantastic Four” movie, “Rise of the Silver Surfer,” will also follow historical trends and be better than the original. It opens June 15. Meanwhile, NBC isn’t content with just one superhero franchise. The network is reviving a 1970s favorite, “The Bionic Woman,” co-produced by David Eick, one of the producers of another ’70s revival, “Battlestar Galactica.” If anyone knows how to turn disco-era cheese into quality TV, it’s Eick. Hollywood has gotten the message. The public loves superheroes, whether they’re the traditional costumed characters like Spider-Man or the newfangled plainclothes heroes of “Heroes.” But not even NBC’s off-the-rack series totally abandons its four-color roots. Comic books play a key role in the story and even influence the fonts used in the show’s credits and captions. All this has happened, however, as superhero comics have become more insular, catering to a slowly shrinking audience that revels in convoluted stories that require readers to buy half a dozen titles just to keep track of what is going on. 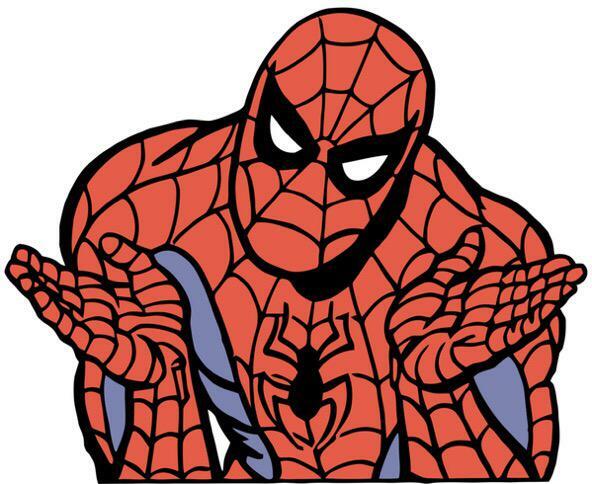 Marvel and DC Comics have virtually given up on attracting new readers. They leave that to publishers that import Japanese comics, which are the only real growth sector in comics publishing. Fortunately, Hollywood hasn’t picked up that habit. If you watch “Heroes,” you don’t have to watch three other shows to follow the plot. Even NBC’s upcoming “Heroes” spin-off is more viewer friendly than that. “Heroes: Origins” will be six self-contained episodes not directly linked to the original series’ story. But viewers will vote on which of the spin-off’s characters they want to join the cast of “Heroes” when it enters its third season. Yes, that means a third season of “Heroes” is already all but guaranteed. They’ve left their comic-book roots behind, but superheroes are making themselves comfortable in prime time. Like horror and sci-fi and all of the other genres that once flourished in comics, superheroes are moving on. It just took them a little longer. Thirty years ago next week, one movie changed everything. In theaters across America, audiences sat spellbound. And somewhere between the words “A long time ago in a galaxy far, far away...” and the final scene, in which our triumphant heroes turn to face a cheering audience both on and off the screen, George Lucas shaped an entire generation. Life without “Star Wars”? You might as well try imaging a world where the Roman Empire never fell or the American Revolution never took place. Along with “Jaws” two years earlier, “Star Wars” gave birth to the summer blockbuster. The companies Lucas founded to bring his vision to the screen went on to work on other films ranging from “Jurassic Park” to the Harry Potter series. Without “Star Wars” to lead the way, no studio would ever have backed the “Lord of the Rings” trilogy. While some people blame “Star Wars” for ushering in an era of filmmaking in which story and character development take a back seat to special effects, it’s more likely that all of those effects-heavy, crowd-pleasing movies saved the moviegoing experience from extinction. Most people don’t mind watching modestly budgeted dramas and comedies at home. But they want to see big-budget action and fantasy movies on the big screen. It’s the blockbusters that keep the theaters open. But how “Star Wars” changed the movie business is nothing compared to how it changed people. 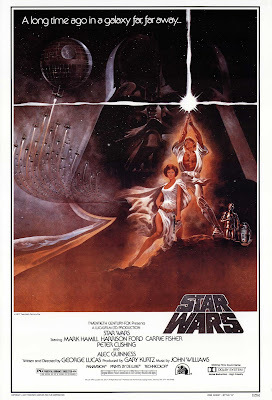 I remember sitting in awe, watching the film’s opening shot of an Imperial Star Destroyer filling the screen, the weight of it seemingly coming down on the old Gateway Twin “rocking chair” theater. That was the first of the five times I saw “Star Wars” that year. From there, it was on to planets filled with bizarre aliens, brave heroes and, of course, menacing villains like Darth Vader, who was the coolest bad guy ever — at least until I learned he was a whiny little punk with a bad haircut. Yes, the prequels were disappointing, to say the least. But those of us who were there at the beginning remember a simpler, happier time. There was, as yet, no Jar Jar Binks, and Han Solo still shot first. And because we remember, we can forgive a lot. Sure, creating your own “Star Wars” stories was more a game for boys than for girls, but you could usually find one girl willing to play Princess Leia, especially if she got to boss everyone around like in the movies. This was pre-“Return of the Jedi,” and you didn’t have to talk her into wearing a metal bikini. Some of us never outgrew Lucas’ space opera and its ability to set our imaginations running wild. At starwars.atomfilms.com, fans are marking the anniversary by submitting their own “Star Wars”-themed short films. Some are serious tales set in the “Star Wars” universe. Others are comedies, like “Chad Vader,” which follows Darth Vader’s hapless brother through life as a grocery-store clerk. And there’re doing it all with Lucas’ blessing. Say what you will about Lucas, he’s always encouraged his fans to play in his sandbox. After all, he is still an independent filmmaker, too, although he’s a very, very, very, very rich one. Three decades after “Star Wars” premiered, the Force is still with us. That’s not bad for a little movie that almost no one gave a chance. The season 1 cast of "Jason of Star Command." It was 1978, and Saturday mornings still meant something, especially to a 7-year-old like me. Before Cartoon Network and Nickelodeon, you got your cartoon fix once a week. Every Saturday began with the ritual consumption of sugar-frosted cereal and snowy TV reception. Rarely seen since its initial broadcast, “Jason of Star Command” returns this week on DVD. The three-disc set from BCI Eclipse includes the entire series, plus a documentary featuring two of the series’ stars, members of the special effects team and producer Lou Scheimer. The most expensive Saturday-morning children’s show ever produced, “Jason of Star Command” originated as one segment of “Tarzan and the Super 7” before getting its own half-hour slot the following year. Set in the far future, the series follows a “soldier of fortune” — that’s Jason, played by Craig Littler — who works for a top-secret agency, Star Command, which roams the spaceways on an asteroid decked out to resemble a futuristic city. During the first season, the late James Doohan, better known as Scotty on the original “Star Trek,” played Jason’s commanding officer. Doohan left after one year to co-star in “Star Trek: The Motion Picture,” which revived the Trek franchise. 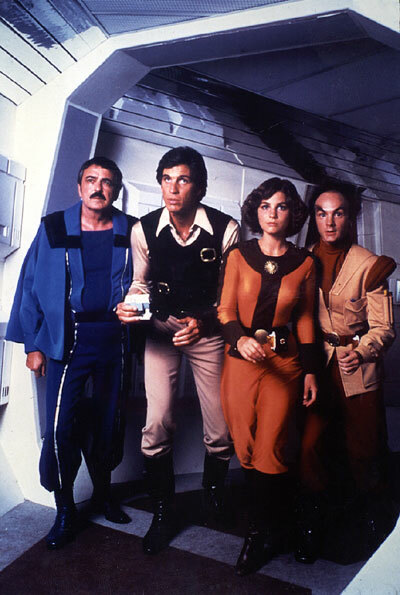 The show relied on cliffhanger stories reminiscent of “Flash Gordon” movie serials and boasted special effects that took advantage, on a smaller scale, of the advances George Lucas and his effects team made with “Star Wars.” As a result, the spaceship models looked as good as or better than anything that had appeared on TV previously. But every space opera needs a memorable villain. “Star Wars” has Darth Vader, “Flash Gordon” has Ming the Merciless, and “Jason” has Dragos, a scenery-chewing baddie with a long cape, menacing laugh and laser-shooting eyepiece. As Haig says in the documentary, Saturday morning TV is the last place he thought he’d end up. But playing Dragos paid the bills, and Haig has nothing but respect and affection for the team that put “Jason” on the air. “Jason” is a strange crossroads of ’70s culture. And unlike a lot of children’s shows that haven’t aged well, “Jason” retains its ability to entertain children while appealing to the nostalgic streak of Generation Xers. Under the guise of protecting children, the Federal Communications Commission wants to treat everyone like children, adults included. And this time, it has an ulterior motive. Last week, the FCC issued a report in which it asks Congress for the authority to regulate TV violence in the same way it regulates sexual content. That is the best the FCC’s pro-censorship chairman, Kevin J. Martin, could come up with. So, the FCC latched onto one study that claims violent entertainment is associated with increased short-term aggression in children. The qualifier “short term” is crucial. A short-term increase in aggressiveness is not the sort of thing that leads children to shoot their classmates. It’s a normal reaction, given that our brains are wired to deal with flight-or-fight situations, even fictional ones. Once the “threat” is over, our normal brain processes resume. But even if TV violence were the problem Martin makes it out to be, that wouldn’t make the FCC’s report any less insulting. Prodded by the Telecommunications Act of 1996, broadcast and cable channels began rating their programs using a system similar to the movie industry’s. Since 2000, the FCC has required all TV sets to include “V-Chip” technology, allowing parents to block programs based on those ratings. This, however, isn’t enough for the FCC. The agency cites a study claiming that nine out of 10 parents don’t use the V-Chip and less than half use the industry’s ratings system. The technology and ratings are available, but parents don’t care. The FCC concludes that parents cannot be trusted to protect their children from TV violence. But not to worry; the FCC will be a better parent than you are. I have a different theory. I think most parents aren’t really worried about TV violence, even if they tell pollsters they are. Parents lie to pollsters because people like Dr. Phil McGraw say they should be worried about TV violence, or else they’re bad parents. And why aren’t parents really worried? Because they grew up with violent TV, too, and they turned out OK, right? But the FCC’s desire to regulate TV violence has little to do with TV violence. One of Martin’s pet causes is forcing cable companies to offer channels on an à la carte basis. Consumers would pay only for the channels they want. Regulating TV violence is a means to an end, by which Martin can say à la carte cable would give parents greater control over what their children see. It may seem pro-consumer to force cable companies to offer their customers only the channels they want to pay for, but it’s a bad deal. The beauty of cable TV is that it supports channels that target small, niche audiences. Many of those channels would disappear under an à la carte system. Even if you think your cable TV company gives you a lot of worthless channels, chances are you watch at least one channel most of your neighbors think is worthless, too. Besides, it’s doubtful that à la carte cable would save customers much money. The price of cable per channel would go up, and consumers would get far fewer choices for their dollars. Whenever the FCC proposes more regulation, it’s up to no good. But between trying to regulate content and kill niche channels, it’s up to twice the usual mischief.